Introduced on the market in 2016, the Jaguar F-PACE was, at the time, the first SUV from British manufacturer Jaguar and still remains its flagship model on the SUV side today. The F-PACE is a luxury sport utility vehicle that’s unique on the market, yet offers an aggressive style that still turns heads even if it is not technically new on the market. With the F-PACE, we have a truly unique luxury SUV in our hands. The 2018 Jaguar F-PACE is an SUV that achieves an impressive balance between comfort and sportiness. On the road, in comfort mode, it offers a soft suspension and a quiet cabin that makes it both easy and enjoyable to drive hundreds of kilometres on the highway, or simply to get to work in the morning. Adjust the F-PACE in Sport mode or Dynamic mode, however, and suddenly you have a sharper and more powerful SUV, especially if you opt for the 3.0-litre V6 engine developing 380 horsepower. The latter, offered in the F-PACE S, produces an aggressive sound in addition to being more powerful than most luxury SUVs in its segment. There’s also a 296 horsepower four-cylinder turbo engine or a diesel engine that develops 180 horsepower. An SVR version with more than 500 ponies is also on the way. In other words, you will not find a mid-size luxury SUV in the same segment as the F-PACE that offers as many engines and version choices as the Jaguar. It is, therefore, possible to find a model perfectly adapted to your needs with the new F-PACE. 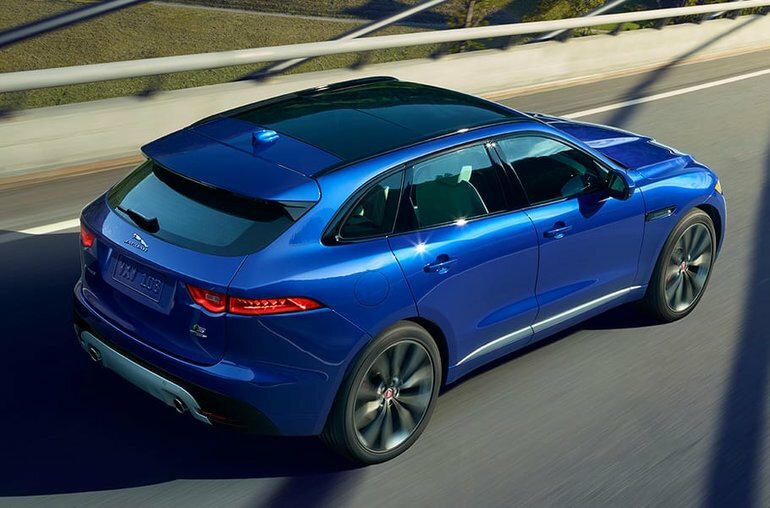 Come discover what the 2018 Jaguar F-PACE can offer today at Decarie Motors Jaguar.